Non Structural framing to be metal studs and track. Any changes to the original print requires a signed work order prior to the start. Insulation to be Sound- Batt Insulation. Drywall taped and finished to a Level 4 Finish. Drywall throughout the Fitout. All boards will be screwed. Scrap to dumpster supplied by builder. Acoustic ceiling to be Certainteed products with Certainteed grid. 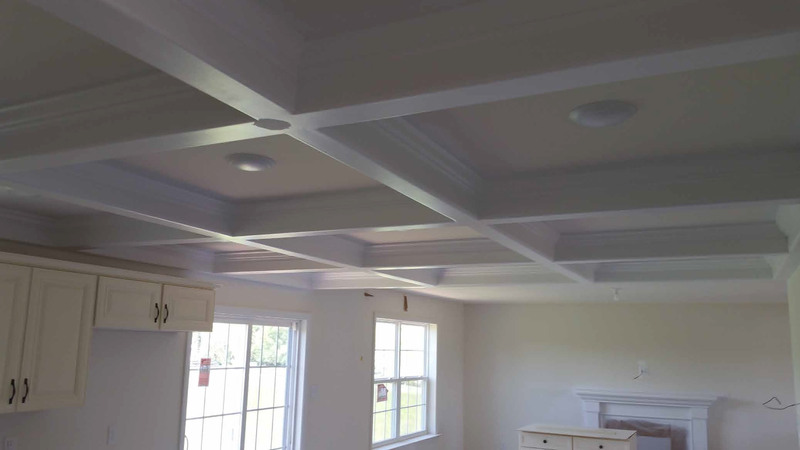 McElderry Drywall Inc. supplies all material and labor for acoustic ceiling. The grid is installed and perimeter tile is placed in grid to keep grid square. Then after all trades install their mechanicals and cut and place their associated trade tile. (McElderry Drywall Inc. is not responsible for damage to the tile/ grid that other trades installed. We will fix or repair damage tile/grid with a work order issued prior to work being fixed.) Then McElderry Drywall Inc. will come back and put in the remainder of tile into grid. All work is guaranteed to be as specified and completed in a workmanlike manner. Any alteration or deviation from above specifications involving extra costs, will be executed only upon written orders, and will become an extra charge over and above this proposal. Workmen’s Compensation and liability insurance on above work to be taken out by: McElderry Drywall Inc.